Everyone knows the roads are slick when they leave the house. But everyone feels invincible. That it will not be them. They are a safe driver. But here we are, our first day with snow in 2019 and Trooper Thompson says that over 100 accidents were reported today – and people haven’t even started heading home from work yet! Have you seen the meme on Facebook: If you only have liability insurance stay home. Today is only for those who have “full coverage” insurance. Before heading out onto the road, do some quick calculations. How many cars will my Property Damage Liability cover? If you have the state minimum, $10,000. Well good luck with that. Pray it is an old beater that you hit. $25,000 is a bit better, but again, pray it is not a new car. At $50,000 or $100,000 you can feel a bit better. At least if you slide and hit a couple cars or push one into the other, you probably have enough. How many nights in the hospital will your Bodily Injury Liability cover? At, say $10,000 per night you are up a creek if you have only $25,000 per person (the state minimum). At $100,000 limits you may feel a bit more comfortable but really $250,000 per person is probably what you should have. Another reason to carry $250,000 Bodily Injury Liability is because you are allowed to purchase the same amount of Uninsured Motorist coverage. If the other driver does not have adequate (if any) liability insurance, I want to make sure me & mine are taken care of. If by Full Coverage you mean coverage to get your car fixed, then $1,000 deductible probably makes sense if it saves you more then $200 per year compared to a $500 deductible. Towing, Rental Car, etcGo ahead an buy them if you want. Personally I would rather save the money and take care of that myself if ever needed. Discuss these options with your agent. 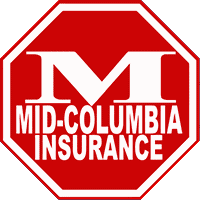 If you don’t have insurance now, we would love to be your agent. If you bought your insurance online, well then you are your own agent (hope you don’t find out the hard way you did not know what you were doing). Too Fast For Conditions. If you lose control of your car then you were going too fast, even if it was less then 5 mph. An Accident. Means your insurance rates will be going up. Even not-at-fault accidents cost the insurance company money, so you will usually lose your accident free discount (if you had one). Regrets. How long will you be asking yourself if you really had to be out on the road. And if you did, if you really couldn’t have slowed down a bit more.